One of the things that came up in the recent BBC Timeshift documentary was the similarity of ‘The Black Leather Jacket’ to military clothing of the second world war. 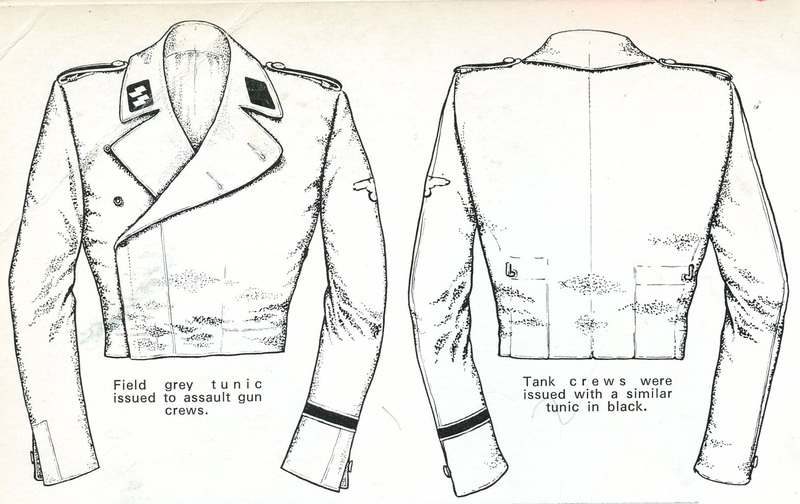 The silhouette, cut and fit of the Ton Up Boy’ favourite is identical to the jackets worn by German tank crews, albeit the military garment wasn’t always black, nor was it made of leather. 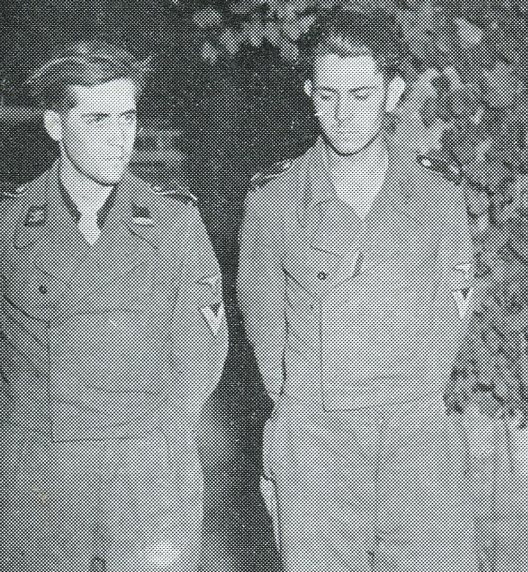 Put aside for a moment the fact that these dashing young chaps were intent on blowing up Tommy and have a look at what they’re wearing. The illustrations below show the garment a little more clearly. 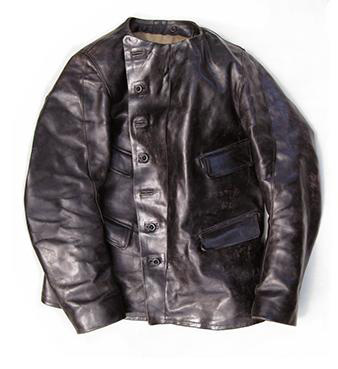 Below is the typical Lewis Leathers jacket of the period. Similar, don’t you think? I’ve been thinking about the way the clothing of the period changed over time, not least due to the change from buttons to zips. I’ll post on that specific change another time but I wanted to post about the way garments evolve and the companies reproducing designs today from various periods in motorcycle history. 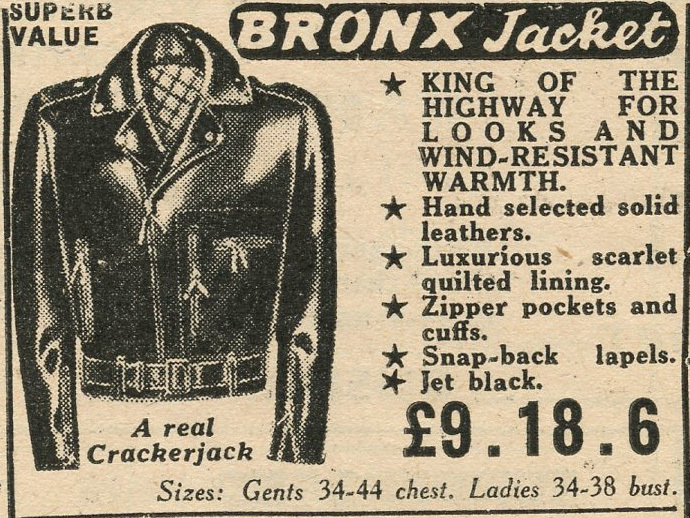 One thing I look at is the way motorcycle clothing develops before and after the war. 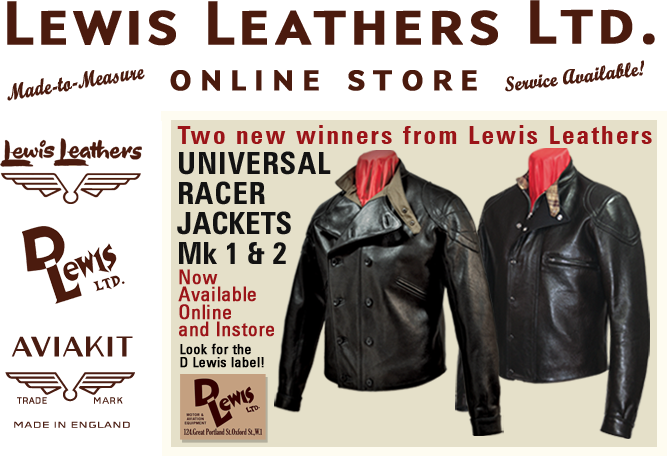 In 1938 a chap called Alex Henshaw won the King’s Cup air race wearing a Lewis Leathers jacket. It was a close fitting jacket with a side zip and a D-shaped pocket (click here for an image on the Lewis website). At the same time, motorcycle racers were also wearing rather larger double breasted leather jackets which buttoned to one side. Lewis do a great job of reproducing older designs from past catalogues and the Universal Racer Mk 1 is a great example. 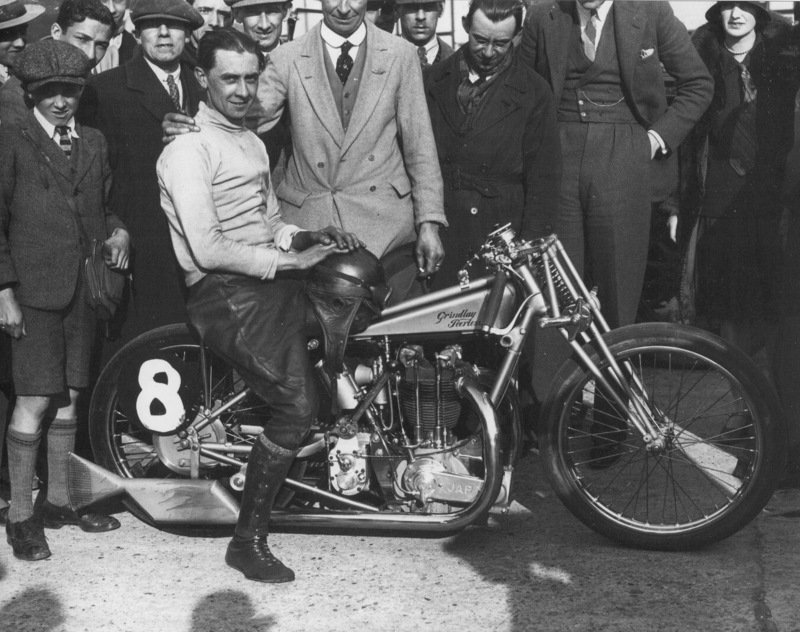 I can just imagine Bill Lacey (below) putting one on to blast round Brooklands in the 1930s. Coincidentally Lacey later worked with another racing great, Mike Hailwood, helping prepare his racing bikes. Lewis Leathers also offer a made to measure service. I’m not sure if they publicise it but I know Derek has offered it to me in the past. They will make any of their designs to the exact measurements of the buyer and give you a jacket that fits perfectly and is faithful to the original designs. I’ve been to the shop a few times and seen the staff cutting patterns and measuring customers and they are very thorough and do a proper job. Their jackets are about 700 quid and worth every penny. The other day I was having lunch in The Huntsman at Eridge, a local pub for me and one that has its own motorcycle club (Tuesday nights in case you fancy dropping in, the food is excellent and well worth the visit alone). The club has its own noticeboard and on it was a card for Gez Cater. Check out this jacket he makes! Just beautiful. It’s a faithful reproduction of a Post Office garment and is made to measure for the buyer. At around £1000 ($1600 at the time of writing) it isn’t cheap but just look at it! It’s a wonderful thing and I love the way it’s put together using 1920s equipment by someone who clearly takes pride in producing a quality garment. If the options above are a bit pricey then there is another option, and this is the one I’ve gone for. 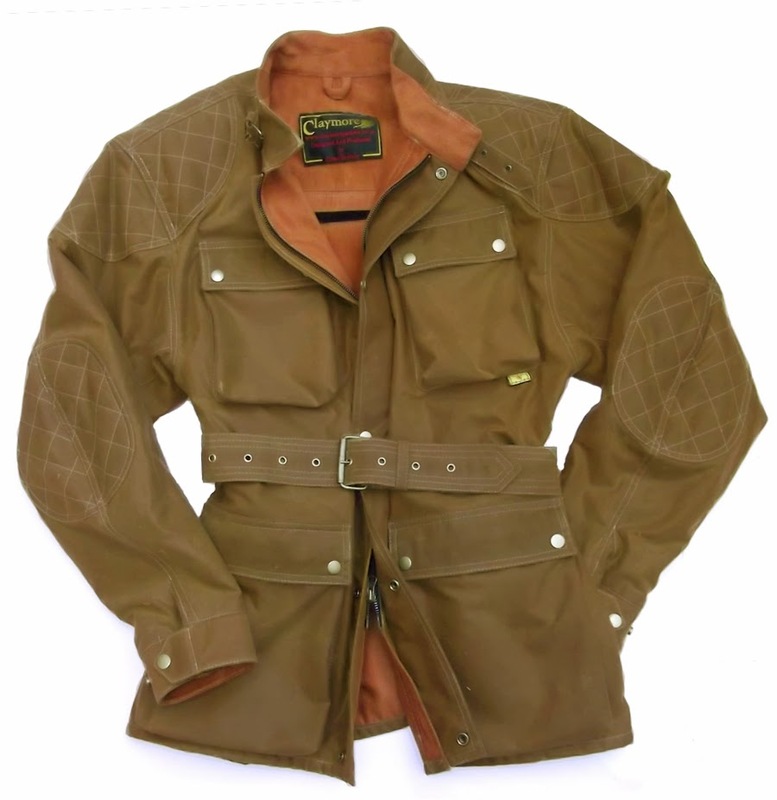 Claymore Jackets do a reproduction of the 1960s style wax jackets made by Belstaff and Barbour. At the time of writing the Claymore site was infected with malware and unsafe to view, so I can’t link to it in this post. Anyone familiar with the 60s Trialmaster jackets will recognise the design as they’re very similar. This is pretty much the one I have, it cost me £248 in 2011 and came with Knox armour on the elbows and shoulders and has a back protector. Carl who works at Claymore turns the jackets round really quickly and was very efficient at replacing a zip when I had a problem with it a few days after receipt. He gets buyers to take some simple measurements and the fit is perfect. You can choose to have extra pockets and different linings to personalise the design. The jacket is tough, waterproof and fits perfectly. It’s made with Millerain waxed cotton which acquires a lovely patina after a bit of use and moulds beautifully to the body. I wear mine all the time both on and off the bike (friends will confirm this!) though I have to admit that the back protector made it look a bit weird, so that got binned fairly swiftly and I use a slimmer Dainese spine protector under a jumper instead when I’m riding. It’s rare to buy garments made to our own specific measurements that use British materials and are constructed by a skilled person to whom we can speak to explain what we want out of a piece of clothing. It’s a real sweetener when the price for such a garment is lower than the off-the-shelf Belstaff equivalent made to standard sizes and hung on a rail in a fancy retail store. Cost is a major factor in the purchase of any kind of garment, but if you can stretch to any of the jackets in this post, I suggest that you make that investment. You’ll look far better (clothing that fits the wearer is so bloody rare to see nowadays that this is a nice inevitable consequence of getting stuff made to your own shape), and you’ll feel more comfortable. And best of all, any one of them will, to quote a tailor friend of mine, “outlast you”.